Brow pencils are probably my favorite form of brow product. They're super quick and easy to use and they allow me to be precise or natural depending on how I use them. I've also somehow collected a lot of brow pencils, but recently used up three of them and so it seems like a great time to do an overview! I've actually had some of these brow pencils since I went blonde/silver in late 2014 / early 2015 and so that's why I have some cooler toned brow pencils. Now, I prefer a more neutral tone but I can get a away with a little bit of warmth through my brows. My favorites are probably the Anastasia Beverly Hills Brow Wiz and the Pony Effect Sharping Brow Definer. I have taupe in this post, but I've used up Medium Brown and Soft Brown before. Soft Brown is a better all around match for me though and so I'm going to pick that up again later this year when I've used up more brow products. The Pony Effect brow pencil is a touch too warm for me, but I'm definitely going to pick up a more neutral color when this one runs out. It doesn't last as long as the Anastasia Beverly Hills brow pencil, but the texture is amazing and goes on with ease. A close second place is the L'oreal Brow Stylist Definer Ultra Fine Sharping Pencil. The pencil is a bit too soft for me and so I tend to overuse this product. It can go from natural to block brows if I'm not careful. It does last longer throughout the day than the Pony Effect brow pencil though. Speaking of soft brow pencils, the Colourpop Brow Pencil is way too soft for me. With the L'oreal brow pencil, it's soft but still stiff enough to create hairlike strokes. 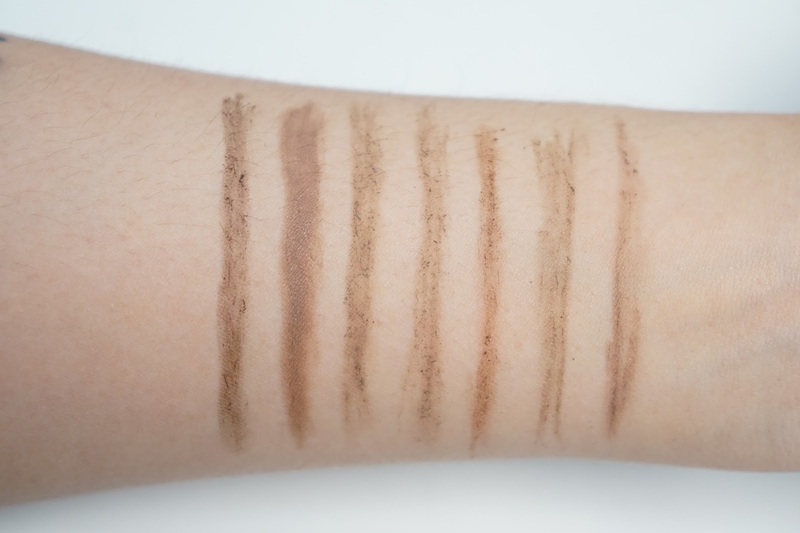 You can kind of see it even in the swatch photo that it looks more creamy. I can still use it, but I won't be rebuying it. My least favorite out of the bunch is the NYX Micro Brow Pencil. It's too stiff and so it takes multiple strokes to get something to show up. I've even lost some brow hairs because of this pencil! I remember when I first used it, it was stiff and gradually got softer but I'm no longer going to take a chance with this product. For the It Cosmetics Brow Power and Benefit Cosmetics Goof Proof Brow Pencil, I like them but I don't have strong feelings about them. Don't get me wrong, they work really well but the nibs don't give me the look I want. It's more a personal preference for these and so I would still highly recommend these two for people that like wider nib compared to the rest of the brow pencils from this post. 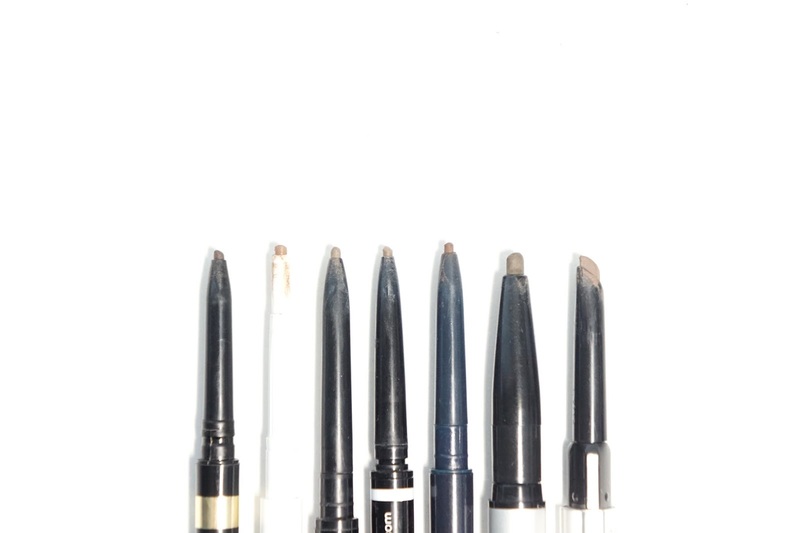 Have you tried any of these brow pencils? 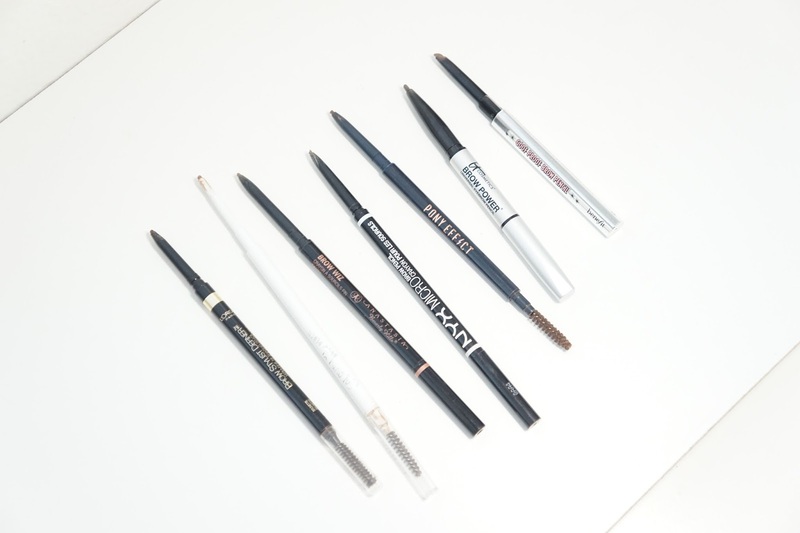 What's your favorite brow pencil?